Die Linke politician Sevim Dagdelen asked the German government why it continues to enable the "scandalous" Saudi mission to proselytize Wahhabism in Kosovo, under the nose of the NATO-led Kosovo Force. "Saudi Arabian missionary organizations are also active in Kosovo and are spreading the Wahhabi interpretation of Islam, which Saudi Arabia represents, for example by sending preachers," the government responded, Die Welt reported. In addition, Germany said that "the continuous involvement of Arab donors — individuals, non-governmental organizations as well as state and semi-governmental institutions is detectable in the Islamic community of Kosovo." Sevim Dagdelen, a representative of Die Linke in the German Bundestag who tabled the parliamentary question, called the increasing Islamic radicalization of Kosovo "scandalous," particularly given that it has taken place under the auspices of the NATO-led Kosovo Force (KFOR). The 45,000 strong KFOR entered Kosovo in June 1999, following NATO's 78-day campaign of airstrikes against the Federal Republic of Yugoslavia, which forced Belgrade to withdraw all its army and police units from Kosovo. As of February 2017, KFOR had 4,273 troops in Kosovo, after handing over many responsibilities to the Kosovo Police and other local authorities. Kosovo made a unilateral declaration of independence from Serbia in 2008. "Right under the nose of KFOR, Kosovo has developed into an Islamic terror center in the region. It is scandalous that, thanks to the presence of German soldiers, Saudi preachers of violence and hatred have freely been able to create the ideological basis for this," Dagdelen said. The politician called on the government to acknowledge the large numbers of Islamic terrorists who come from Kosovo. 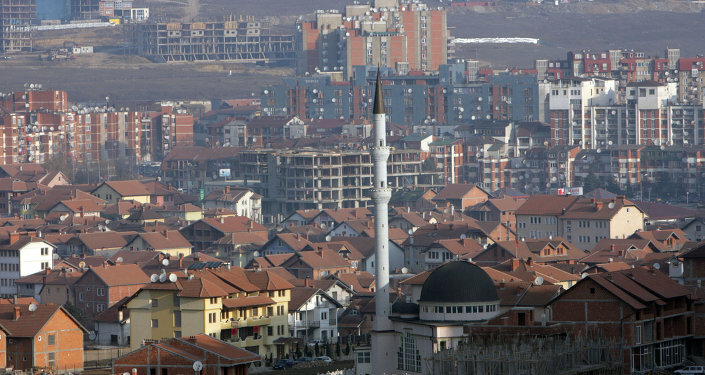 According to an analysis by the US-based National Bureau of Economic Research, Kosovo is ranked fifth per capita for ISIS [Daesh] foreign fighters. It contributes the most ISIS fighters per capita of any European country, followed by Bosnia and Macedonia. Dagdelen urged the federal government is "not to keep sugarcoating the situation in Kosovo and keeping the public in the dark about concrete recruitment figures for Islamic terrorist networks like IS [Daesh] and other organizations in the KFOR area." In its response, the German government also touched on the increasing influence of Turkey in the Balkan region. "Since the accession of the AKP [Justice and Development Party] government in 2002, and especially during former Foreign Minister Ahmet Davutoglu's term of office, a strategic reorientation of Turkish foreign policy has taken place. In the course of this reorientation, political focus was placed on areas that were formerly part of the Ottoman Empire," Berlin wrote. Dagdelen, whose Kurdish parents immigrated to Germany from Turkey, said that the German government should challenge Turkish influence in the Balkans and particularly in Kosovo. Under the auspices of KFOR, Erdogan has been given "a free hand for his neo-Ottoman imperial policies," Dagdelen said. "At the same time, he is using the opportunity to influence Kosovo for political cleansing. This is an additional reason why the federal government must finally radically change its Turkish policy and take a clear position against Erdogan." 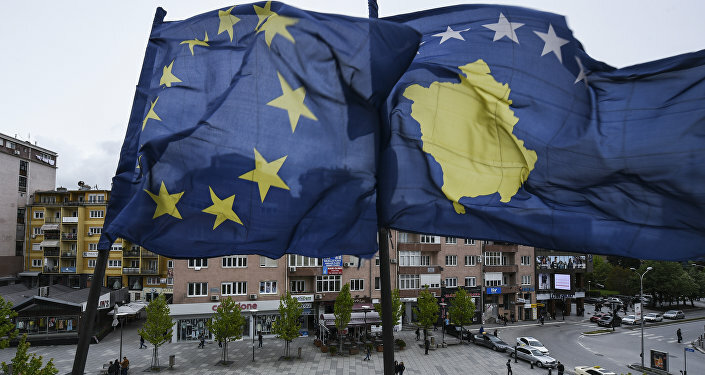 Kosovo is set to hold snap parliamentary elections on June 11. The favorite to become Prime Minister is former field commander of the Kosovo Liberation Army, former prime minister and the current leader of the Alliance for the Future of Kosovo political party Ramush Haradinaj. Haradinaj recently caused outrage in Serbia when he called for more Serbian territory to be annexed in favor of Kosovo. Serbia should "delete Kosovo from the Constitution" or see "one-third third of Serb land added to the Kosovo map," Haradinaj said.